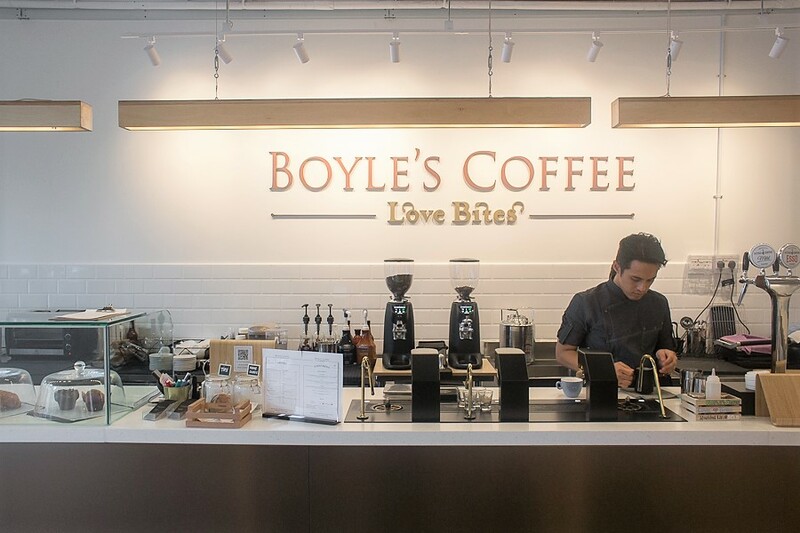 Boyle’s Coffee, which is a coffee brand of South Korea’s UTB Coffee, has made its way to SMU. Located right below SMU Li Ka Shing Library, I can foresee a lot of SMU students using this place for short discussions and rushing assignments. Not to mention, last minute caffeine shots for those who need to stay awake during finals. While this store has a “Love Bites” concept, these actually refer to grain bowls and I would hope adrenaline-rushed students do not think otherwise. 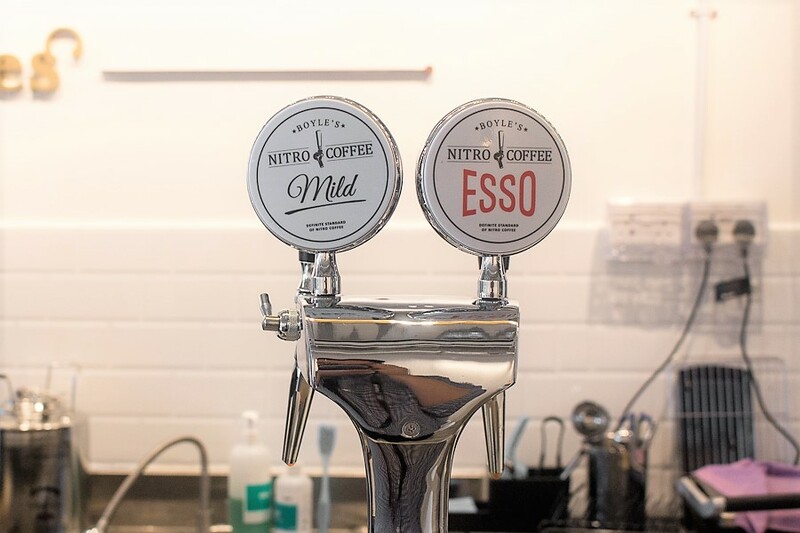 If you have heard about Boyle’s coffee, you’ve probably know about their Nitro Cold Brews. 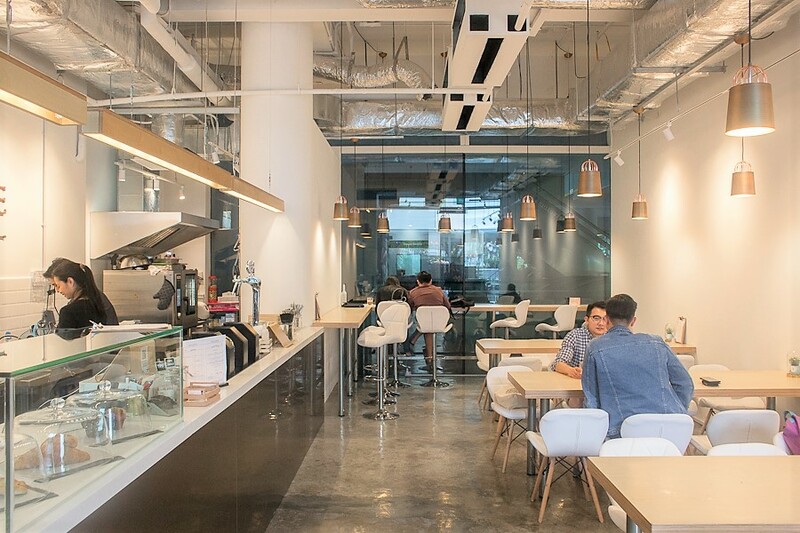 This outlet is also said to house Singapore’s first Mavam Espresso Machine. 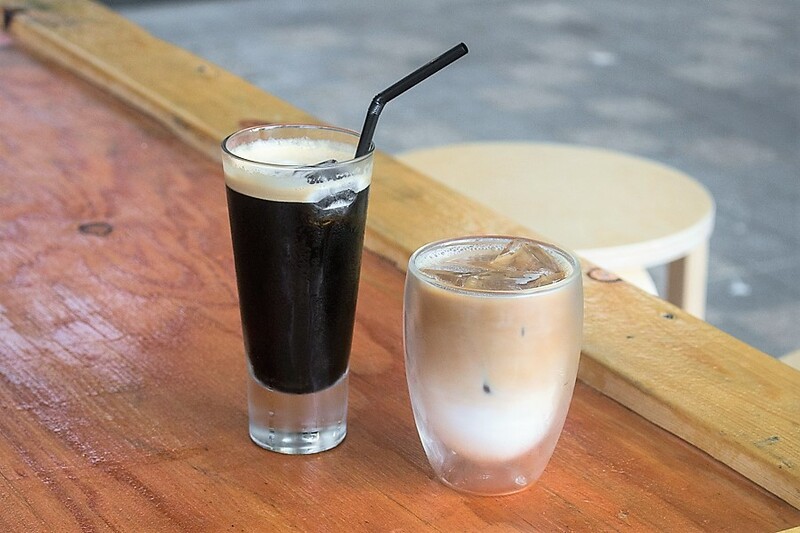 Their Nitro Coffee known for silky and smooth texture, is created by cold brew coffee and nitro gas, served in a tall glass. The Americano Nitro ($6.50) had a velvety-rich foam on top, slightly acidic and had a nutty aftertaste. The Iced Hazelnut Cold Brew with Milk ($7.50) was not too sweet, which was a plus point for me, blended very well with the cold brew coffee. The pastries on the other hand, did not wow me so much. 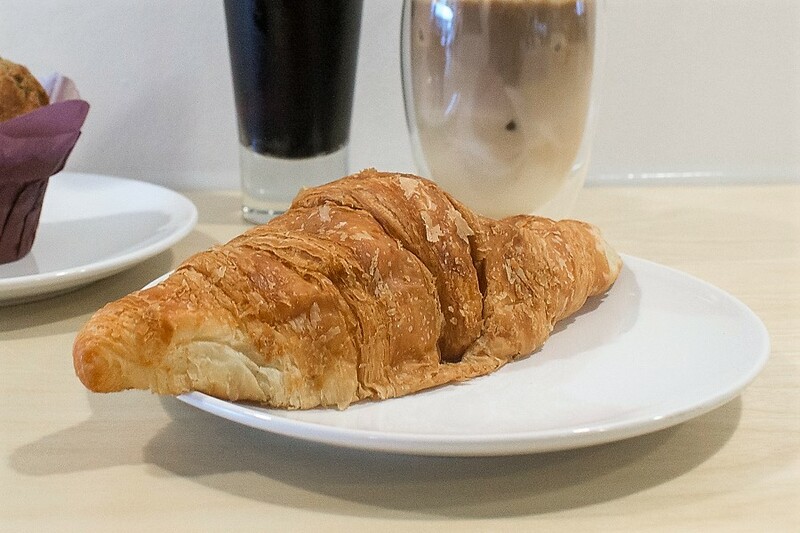 The Croissant ($3.20) lacked a certain crisp to it, despite the strong buttery flavour. The Blueberry Muffin ($3.90) was suitably moist, with the taste of tangy blueberry with every bite. As this is a “Love Bites” concept, the café also offers “Love Bowls” from 11am onwards, with offerings simply (or lazily) named The Chicken, The Fish, and The Egg. Unfortunately, the bowls were disappointingly “sold out” by mid-afternoon and emails sent over were left un-replied. Opening jitters, I suppose. 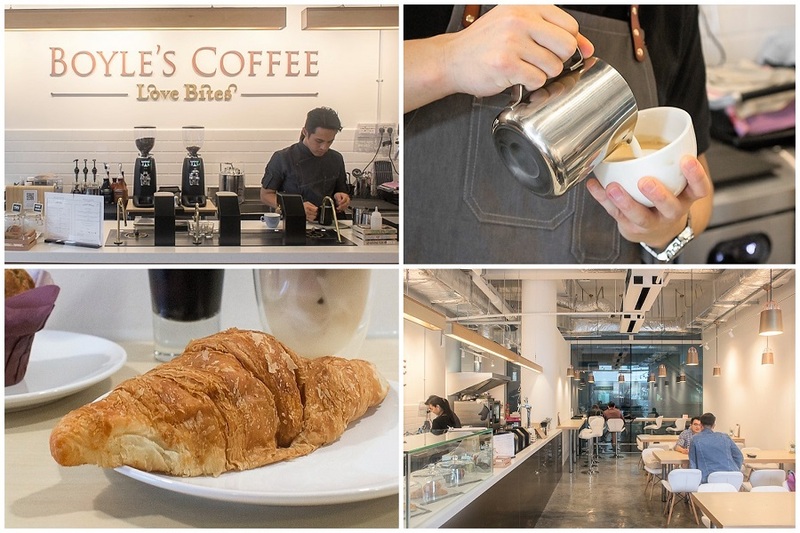 Boyle’s Coffee Love Bites is simple and inviting space for SMU students to drop in for a cuppa. What seals the deal is the additional 10% discount offered to all SMU staff and student. 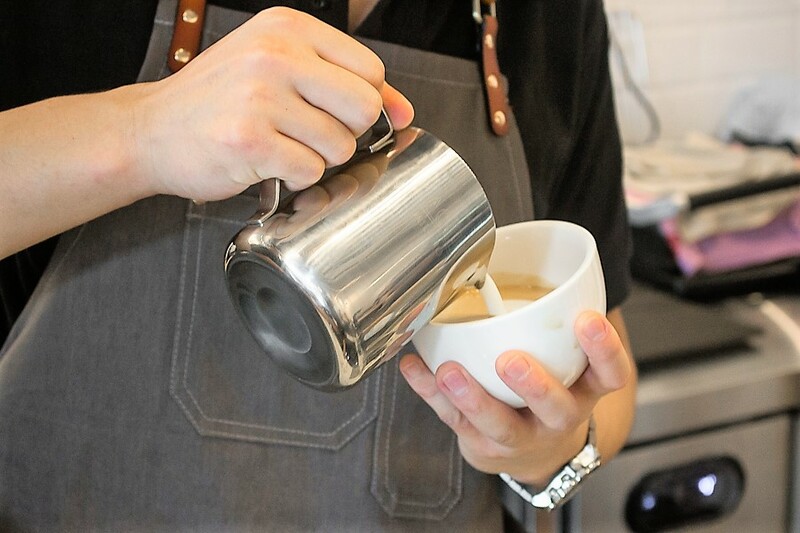 * Written by DFD’s Café Correspondent @__sy_g. 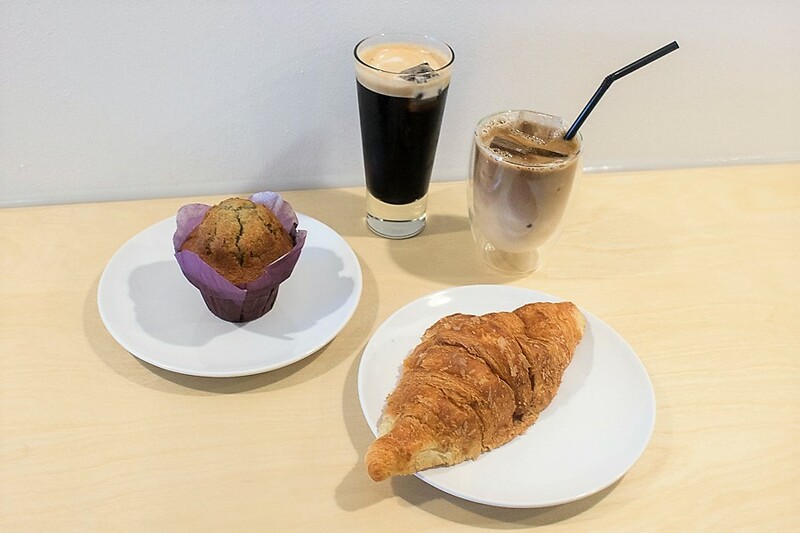 Songyu is a food and travel blogger whose hobby is uncovering hidden hipster cafes. DFD paid for food reviewed unless otherwise stated.